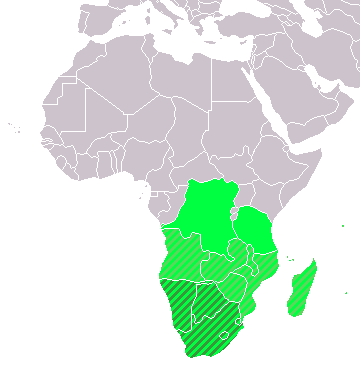 Fitxategi:LocationSouthernAfrica.png - Wikipedia, entziklopedia askea. Egilea No machine-readable author provided. E Pluribus Anthony~commonswiki assumed (based on copyright claims). 21:22, 9 uztaila 2011 360 × 392 (14 KB) Maphobbyist South Sudan has become independent on July 9, 2011. Sudan and South Sudan are shown with the new international border between them. 08:11, 11 abendua 2007 360 × 392 (14 KB) Hoshie added Cabinda (Angola) and Montenegro. 05:45, 1 apirila 2006 360 × 392 (14 KB) Aris Katsaris Cleaner -- there's no need to include SADC at all here.